Pretty easy repaints, they cheated on Camo Khan, with no buzz-off arms or Snake Man emblem. They should've used Beastman's head and arms with Stratos chest and legs to make Jet Pack Moss Man. Okay, they usually don't make their own stuff up. How about Slime Pit He-Man, Battle Armor Faker and black Zodak and "disco Skeletor" from Mattel's 200X line. I mean, those aren't as cool Blue Beard Stratos. I just need one of each. Then you scalpers can do whatever you want. 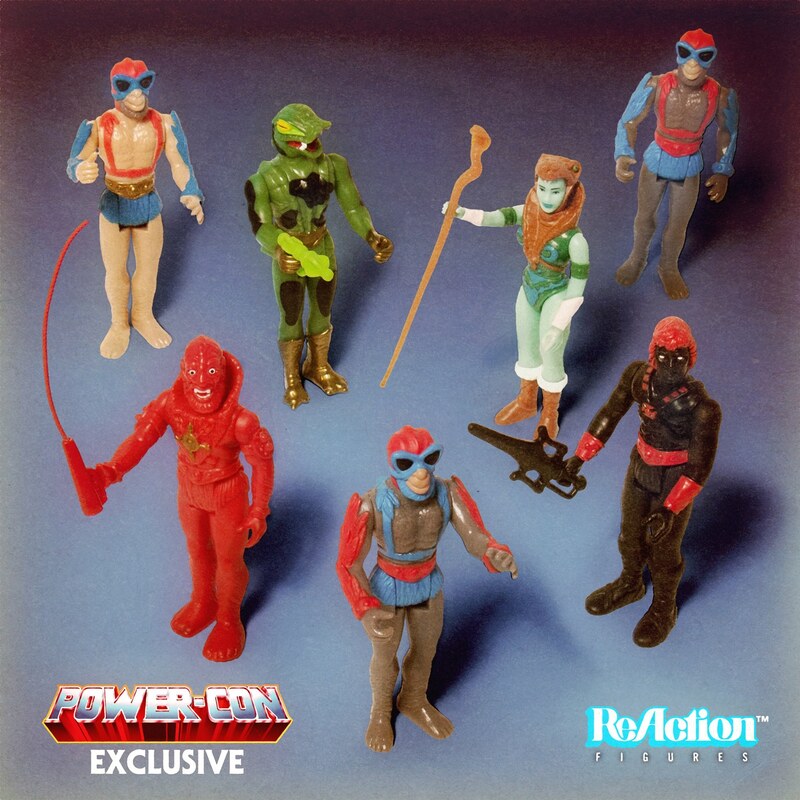 My Power Con Reaction figures are due to be delivered tomorrow. Now I'm going to be needing another vinyl carrying case. Does anyone have one for sale, or can point me in the right direction? Last i checked, super7 had some for sale on their site. Collecting MOTUC, Aliens, Predator, horror. Super 7 has 2 cases, a black with exclusive Alien figure and a red with exclusive Hellboy figure. But not the blue MotU case that came with a blue Mer-man.